Charles A. Broadwater's Diamond R Freighting Company dominated overland shipping in Montana before the coming of the railroads. The Diamond R was headquartered in Helena from 1866 on. Broadwater would also become deeply involved in the railroad, serving as President of the Montana Central. Broadwater is perhaps best known for his beautiful hotel and natatorium which once stood on Helena's west side. During Helena's early years, this toll road, originating at the head of Missouri River navigation at Fort Benton, was the main shipping route into the area. Heavy rain and snow sometimes made the canyon road impassable. In 1865, the Territorial Legislature granted a license to the Little Prickly Pear Wagon Road Company to build a toll road through the canyon. 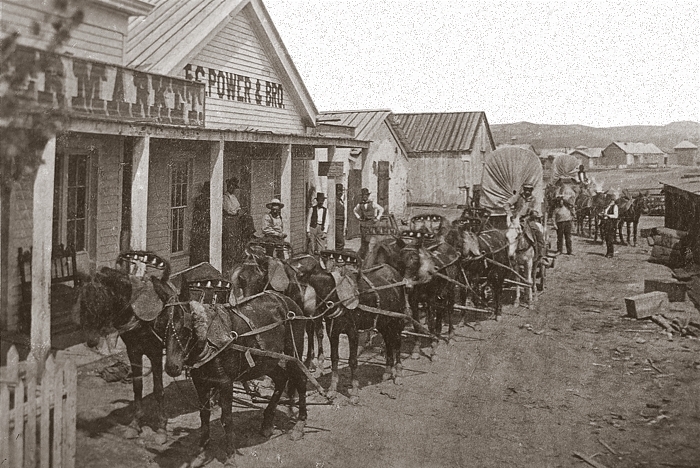 A year later, in 1866, Helena merchants James King and Warren Gillette bought the road and spent $40,000 upgrading it. 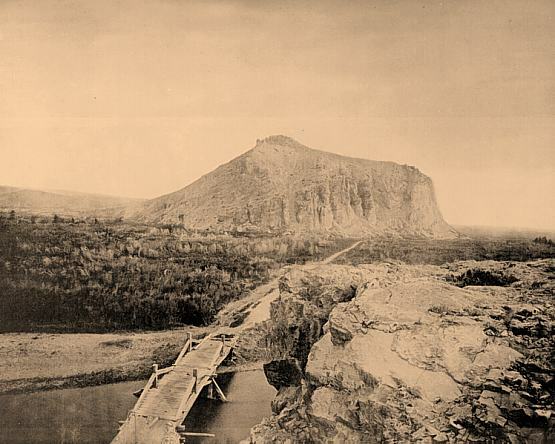 By then traffic on it between Fort Benton and Helena had become so heavy, that the men were able to recoup their expenditure within two years. 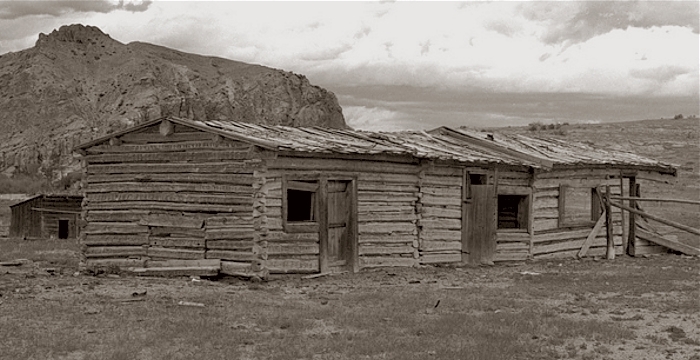 By the early 1870s, it was part of the Benton Road, an important freight and passenger route in the territory. Thereafter, other roads and a railroad were constructed through the Prickly Pear Canyon. 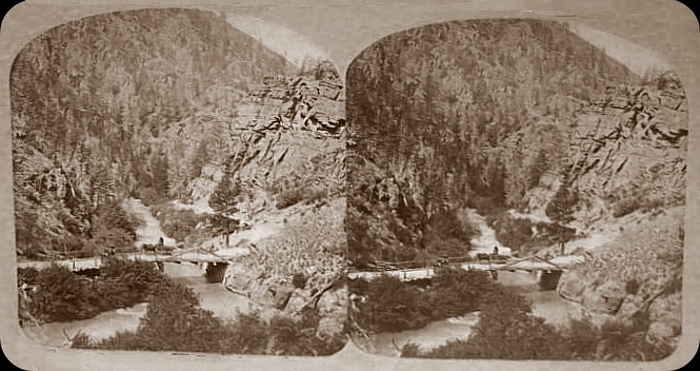 A section of the stagecoach road from Corinne, Utah to Helena, crossing the Beaverhead River at Point of Rocks, halfway between Dillon and Twin Bridges, 1871. 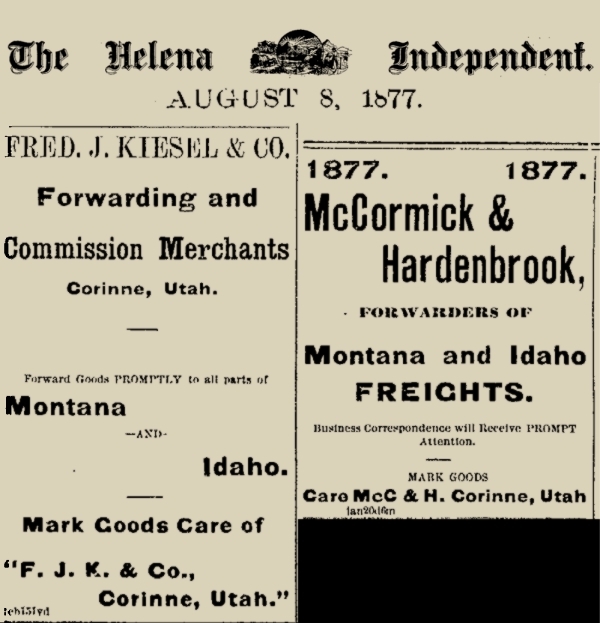 Corinne was founded in 1869 as a freight-transfer point on the new Union Pacific Railway line for the shipment of goods and supplies to the mining towns of western Montana along the Montana Trail, the most important early-day land route. 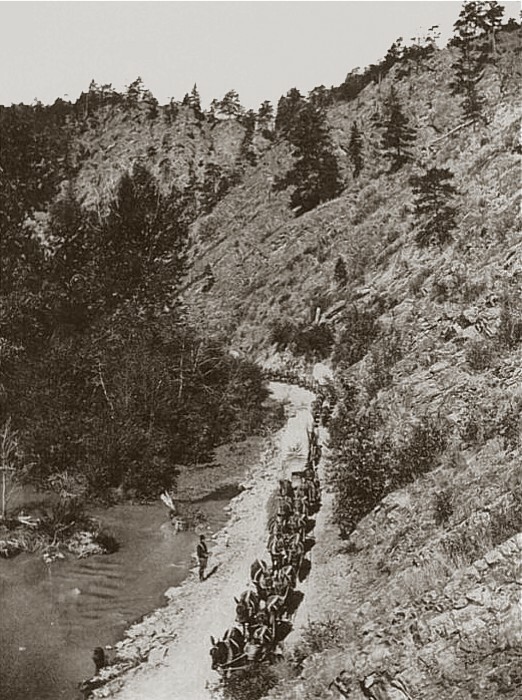 Both the Benton Road and the Montana Trail were expensive and unreliable, so Helena merchants developed the Carroll Trail, named for one of the owners of the Diamond R freight company. Steve F. Russell of Historic Trails Research in Ames, Iowa, has written a concise history of the Carroll Trail (pdf file). make about 13 miles a day, a parade of teams two to three miles in length. Springs, down the Musselshell, through the Judith Gap to Roy and to Carroll. "Very little remains of Carroll, the river's waters having done in the famed port. And precious little is left of Fort Maginnis where troops were stationed to handle marauding Indians."